How can colleges improve upon current assessments or assessment practices to make sure students are placed into appropriate-level courses? What are the effects of alternative assessment and placement strategies on students’ overall academic performance, persistence, and progress toward college degrees? The five-year study is conducted in collaboration with community colleges from the State University of New York (SUNY) system that are interested in modifying their assessment procedures. This random assignment study evaluates a “data analytics” placement method whereby colleges use multiple measures to predict student performance in college-level math and English courses. 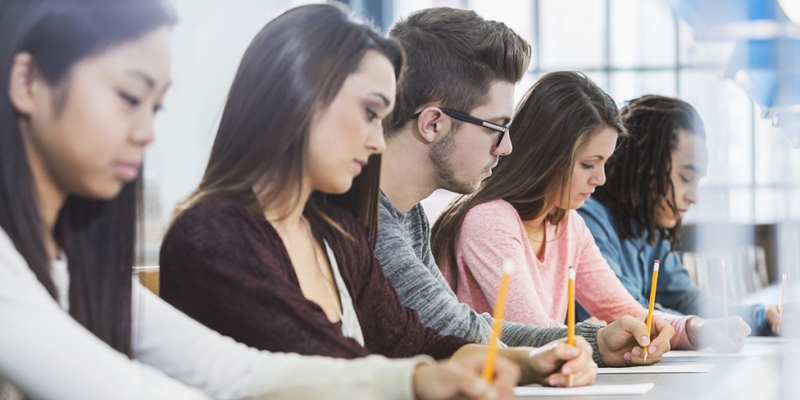 In addition to placement test scores, predictive measures may include high school GPA, high school course-taking patterns, and noncognitive assessments. Data on these measures are used in a predictive model, developed in collaboration with the colleges. A decision rule is then used to assign students to college-level math and English courses or developmental courses in math, reading, and writing. Students entering participating colleges in the fall of 2015 through the spring of 2016 were randomly assigned to be placed either: (1) using the new decision rule, or (2) according to existing placement practices. A random assignment design is ideal for this study because any differences in later outcomes can be attributed to the way in which students were placed. Students will be tracked for up to four semesters following placement to learn about their subsequent performance in college. The outcomes of primary interest are completion of the first college-level courses in the relevant areas and total college-level credits earned. A CAPR working paper released in February 2017 discusses the history of college placement testing, the limitations of placement tests, the consequences of placement errors, and the movement toward multiple measures placement. It also describes several approaches to multiple measures assessment and placement. In September 2018, CAPR researchers published promising findings that indicate students placed using multiple measures are more likely to be assigned to and complete college-level courses in their first term. Though relying on multiple measures impacted both math and English placement, researchers found that the effects are especially large for the latter. The report details the early results from the study, which includes 13,000 students at seven SUNY community colleges. All of the schools in the study successfully implemented the alternative placement system, even though doing so was more difficult than expected. The final report, to be released in 2019, will include data on students’ completion of introductory college-level courses, persistence, and accumulation of college credits over the longer term.